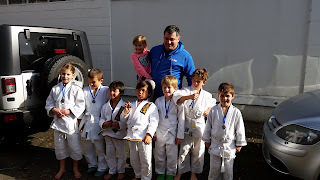 Unfortunately was too busy coaching and organising at the Judokwai competition so didn't get many photos. If you have any send me some. The coaches and I are very proud of the kids and hoping that we do well again next weekend. Big Judo Central Ready for Howick Comp Too!